This is a free app that allows you to make mini-movies with special effects. You can select from dancing skeletons to T-Rex. Have your students create a movie and then write a narrative! It's fun, free and easy to use. You can save your videos to your photo gallery or upload to a social media platform like Facebook or YouTube. BrainPop – available as an app or online. I can't think of a better place to start with animation than with BrainPop! It is a site that provides hundreds of short animated videos starring Tim and his robot, Moby. Tim and Moby explain everything from why the sky is blue to Geocaching information! Students can even find information on writing essays and parents and teachers will like their series on Internet Safety. The videos are usually only 2-3 minutes but pack a lot of information into that short time. I use these videos in two ways, first, student research site, and second, to inspire students on making an animated video to recap a lesson or present new information. Each video also has a 10-question quiz associated with it which is something that I encourage my students to do at the end of their animated lesson. Each topic also have lesson plans and supplemental activities, including games. Pricing varies for each group; family, homeschool, classroom, individual, school districts, individual school….of course, there are videos and activities free. Perfect tool for introducing animation to your students! I love it! Here is a student's work using BrainPop as their inspiration. SKIT! is the fun way to create and share animated messages with friends, family and the community. The app gives you plenty to decorate your characters with crazy outfits, stickers, filters, and more! You can animate and share stories and memes with the community. - Dress friends up in fun outfits like a meme, and animate to add motion. - Animate easily with your finger and use your voice to for the storytelling. - Add custom text with great fonts and unlimited colors. - Or, make a drawing in the draw tool using our new brush collection- draw on pictures too. There is an in-app narrator who gives tips and guides you along but most kids will catch on pretty quickly. This app is perfect for digital storytelling. Students can created cartoons that when played, give the audience a feeling of a puppet show. Scripts can include anything from history to recreating a fairly tale. Students can also used use Toontastic to bring their own creative story to life. - Share your Skit Video clips via text (SMS), Facebook, Twitter, E-Mail, and with the community. - You can create and share as many clips and memes and animations as much as you want -- it's all Free! Storytelling with our vibrant community is easy, fast and fun. 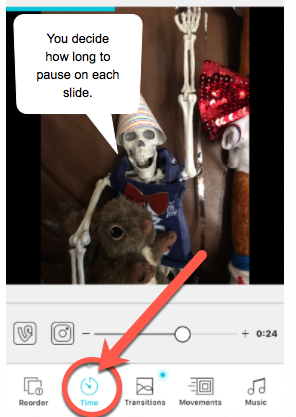 Slide X is a simple way to create a video-story using your pictures, whether they are personal or uploaded. It has wonderful transitions, filter effects (for each individual or all pictures, soundtracks and much more. How this is different from Animoto? • Stunning collection of visual effects that will give a unique style to your photos. Free! Cartoon studio is a great mobile app for educators. It allows its users to easily create cartoons and share them with other people all on the go and for free. This is a fun way to let students integrate technology with their creativity skills. They can create historical cartoon strips, political strips, advertisements and more . It is compatible with iPhone, iPod touch and iPad and requires iOS 3.1 or later. Online Program: This is not an app, however the website does work with an android but not an IOS system as it needs FLASH to run. PowToon - PowToon operates on an online interface from which you can create videos by choosing from a selection of templates and then adding text, images and other content with built-in entrance and exit animations. These videos can be saved out as an mp4 video file, or uploaded straight to YouTube from within the application. PowToons is perfect for students to create a digital story and creating simple Flash style movies and presentations. Creating motion is simple and there is a good number of graphics to select from. Teachers and students will find this program great for quick animations. Use Morfo 3D Face Booth with a photo of a historical figure, celebrity or pet and quickly create a talking, dancing, life-like 3D character! Once captured, make your character say anything you want. It's a great way for students to create a biography in the first person. I really like this app. It's easy to use, fun and the kids all love it! It definitely helps students develop confidence in public speaking and is a great way to get students to share ideas on different topics after a unit has finished. It's a wonderful alternative as an evaluation tool. iPhone and Android owners, download the free app! 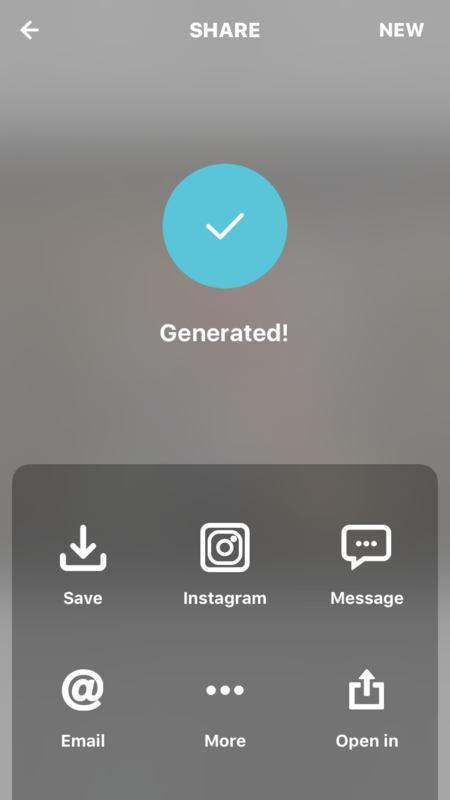 Create and share videos using your phone's pictures and video clips, or watch and download the ones you've made on your computer. 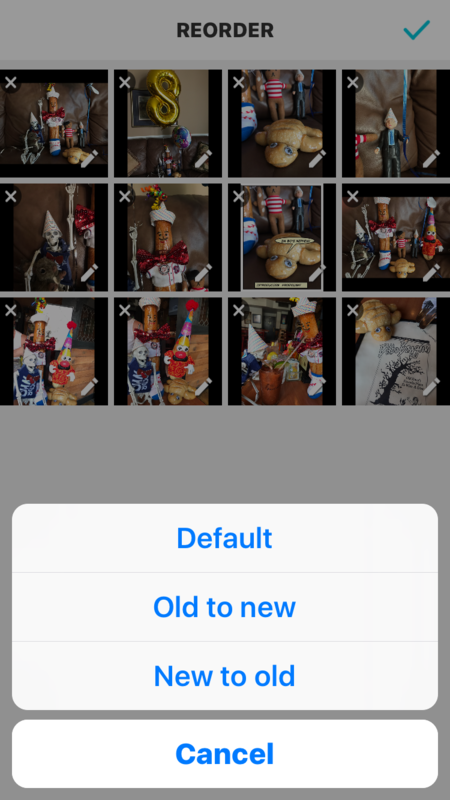 It's easier, faster and dare we say, a bit more fun.Grab your photos straight from your camera roll. You can use up to 12 images, so just choose the best ones. You can even add a few video clips, as long as they’re short and sweet. Animoto App for iPhone, iPad, Android....I love this program! Educators can apply for a free Animoto Plus account for use in the classroom. Free! Sock Puppet is a fantastic app – students can re-create a scene from history by scripting a play and recording their voice! This app allows students to make the actions with the characters they have chosen – record and play back, save their play or performance. It's a fun way to evaluate their understanding of a concept! You can also have students give their book report using the sock puppets! My students love this app. It's simple and easy to use. All you need a device, the free app, some Legos, a story and you are ready to shoot a movie! It's everything young moviemakers need to mess around and have fun. Not much direction is needed however I do let the students know that for best results, it's best putting your "camera" on a tripod, or at least a stand, so you can focus more on the scene and less on holding your phone or tablet steady. Drawbacks? The app has no focus and only one orientation: lens low. Also, you can't delete an in-progress movie without first saving and processing it. If you are creating more than one scene on different days the app doesn't know that it is a segment so the words, "The End" appear on screen. Not available yet as an app - this is a software program available as a download. A student favorite! This program makes animating a easy for even the youngest students. I've had my 2nd grade students create animations!! It includes drawing tools, clip art, and path animation options. You can clone frames and use the onion skin to line up your characters and adjust their movements. 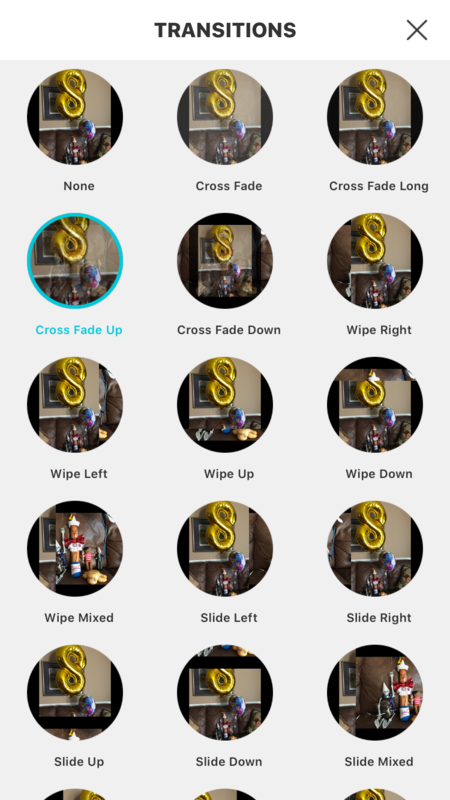 Frames allows you to make stop-motion animations and claymations. Capture frames with a web cam or dv camera, use time lapse options, or import from a connected camera to build claymations, LEGO® stop-motion, and cut-paper animations. This is a great tool to use for digital story telling with text, pictures, and your own narration. Pan and zoom on each frame and record your voice to one of three soundtracks. Use the chroma key to place yourself anywhere in the world or in your own illustrated fantasy land. For $3.00 a month, A teacher can have up to 60 students on their account. Presentations can be up to 15 minutes that include 10 tunes and 10 styles. There are also options for just the teacher at $2.00 monthly or just student at $1.00 monthly. School districts also have the option to buy into a 'bulk' plan. Morfo allows you to change the voice and the mask on the face and to record a monologue or a character from a famous speech in history or record a classic poem! The ideas are endless! It's perfect to help those shy students who'd rather not give an oral presentation. Its powerful features can be used to create stunning presentations incorporating images, video clips, music and text.What makes Animoto special? 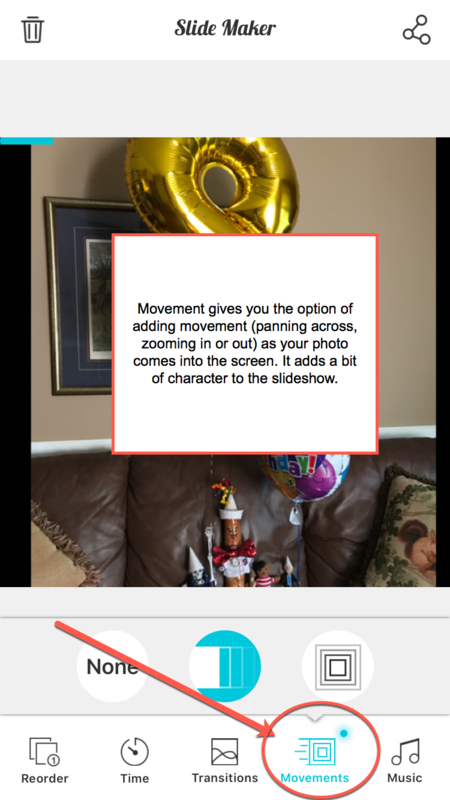 Animoto gives students a nice variety of tools for creating videos in your classroom. I had my students export the segments onto their computer from their device and import into Movie Maker. There, they could add their soundtracks. This movie was done by my 8th grade students. You can see another sample on the Student Sample Page. Tellagami, a free iOS app that lets you create short (30 seconds) animated movies called "Gamis," and thanks to a fellow teacher, is now one of my new favorite animation apps! It's a fun tool to use with students. Challenge them to recreate a moment....make that half a moment in history. Have your character tell a story. Use an animal as a background and have the student (avatar) describe some of its physical adaptations. Have students recap a part of their field trip in groups, then load all of the short clips into one movie using animoto or movie maker.